The importance of family, friendship, and doing the right thing are always major themes in the show. The dad is a cop, so police work is discussed; also, a couple of episodes cover the dangers of guns. Some smooching, innuendos too subtle for young kids, and teens talking about sexiness -- but the overall message is self respect and respect for others. 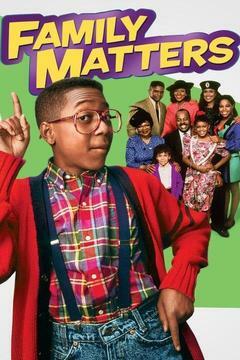 Urkel has a long-standing, innocent crush on Laura; his alter-ego is much suaver with the ladies. When substance use is mentioned, it's portrayed as "messed up" behavior.